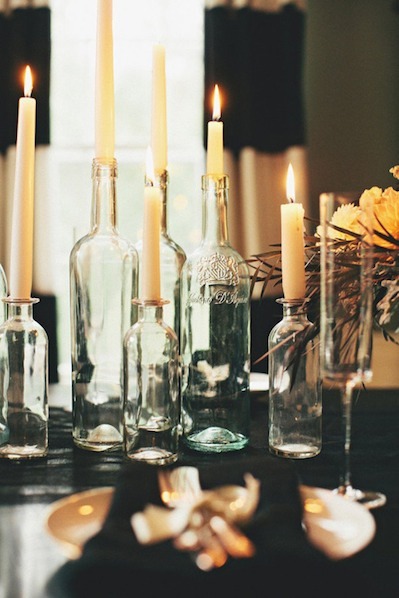 You don’t have to be Martha Stewart to create a stylish Thanksgiving tablescape. These 10 DIY projects require few materials and practically no artistic talent. Put away the handprint turkey crafts — you can do this! 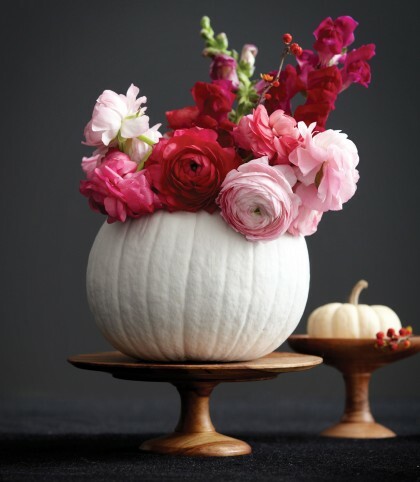 Pumpkin Vase: Place a glass inside a hollowed-out pumpkin to create this charming centrepiece. 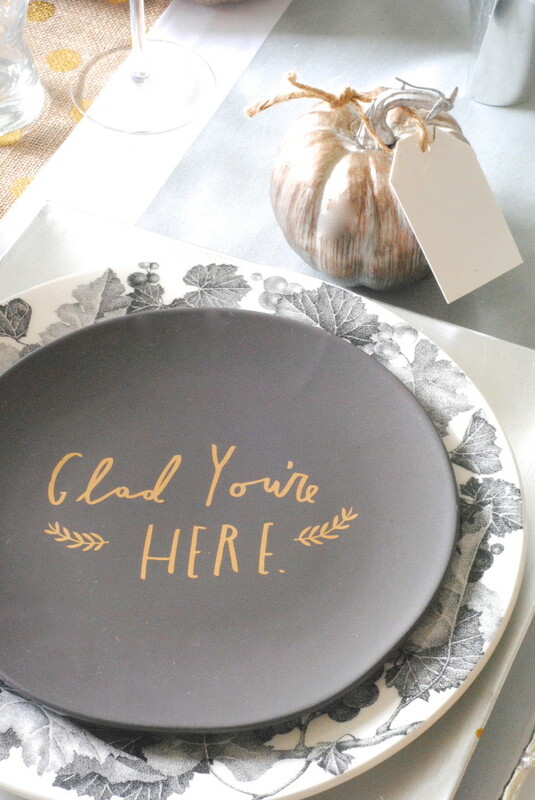 Personalized Plates: Purchase salad plates from the dollar store and decorate them using a metallic Sharpie. Bake plates in the oven at 425 degrees for 30 minutes to keep the design from fading. 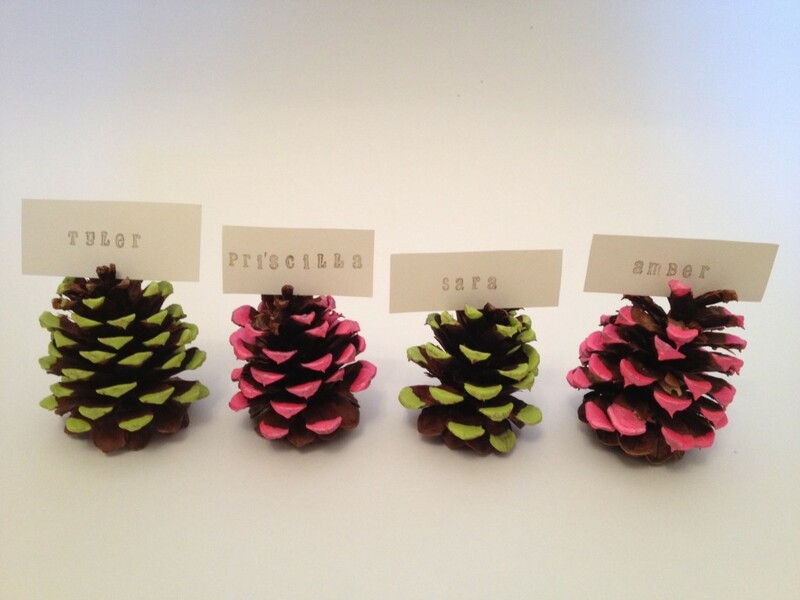 Pinecone Place Cards: Bake the pinecones at 200 degrees for 30 minutes to kill any bugs that may be hiding in the crevices. Dab neon acrylic paint onto each prong for a modern, playful look. 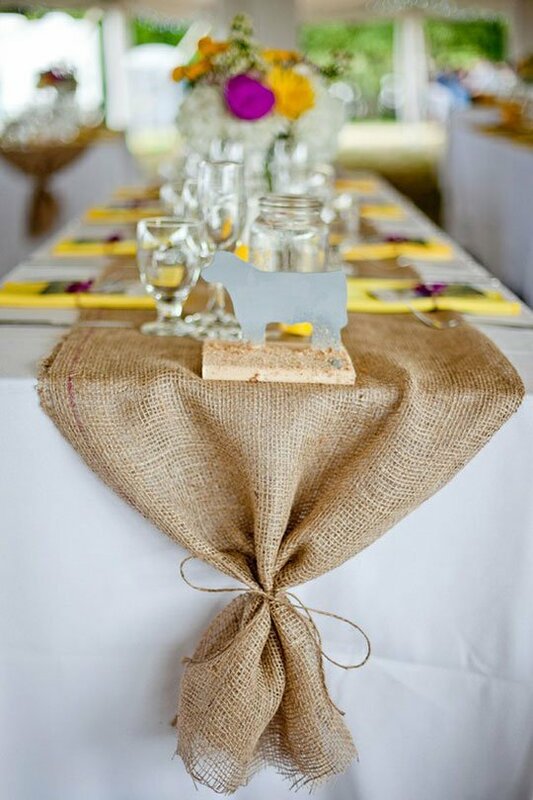 Burlap Table Runner: Burlap costs about $4 per yard at craft stores and this DIY table runner requires no sewing. Tie the ends with twine and voilà! 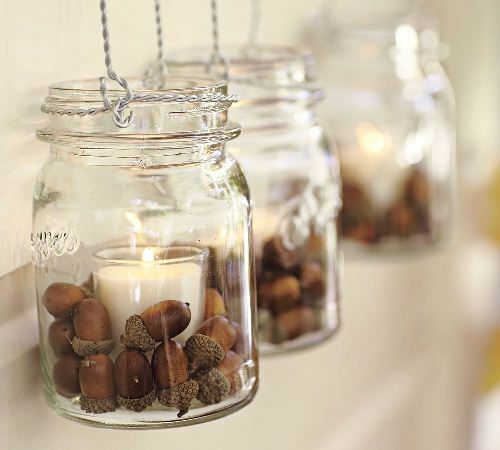 Vase Filler: Go crazy filling vases with beans, acorns, popcorn kernels, cranberries, candy corn, pinecones, mini pumpkins or birdseed. If the vase is tall and your candle is stumpy, place a tin can underneath the candle to give it more height. Layering different fillings is an easy way to add colour and texture. 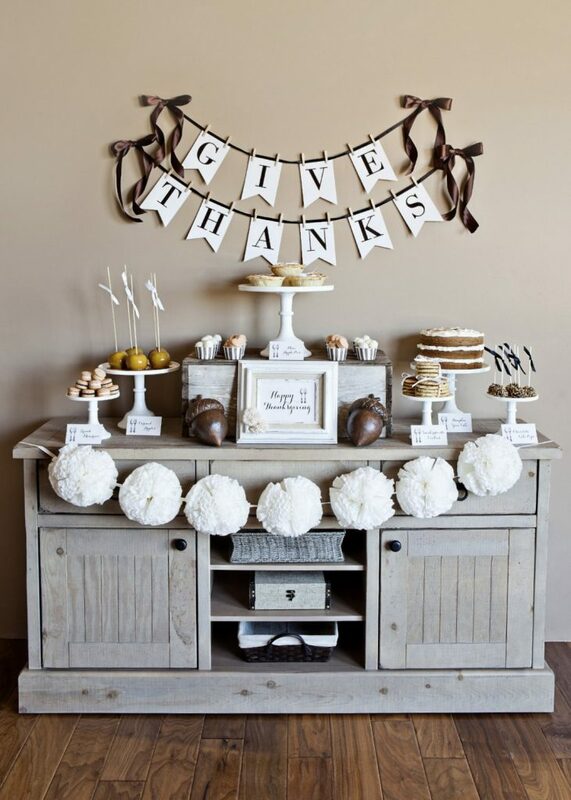 Thankful Banner: A free online printable, a bit of twine and miniature clothespins are all you need to design a festive bunting. Wine Bottle Candle Holders: Raid the recycling bin to create simple candlestick holders. 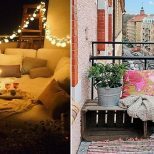 If you’re feeling adventurous, add a bit of spray paint. 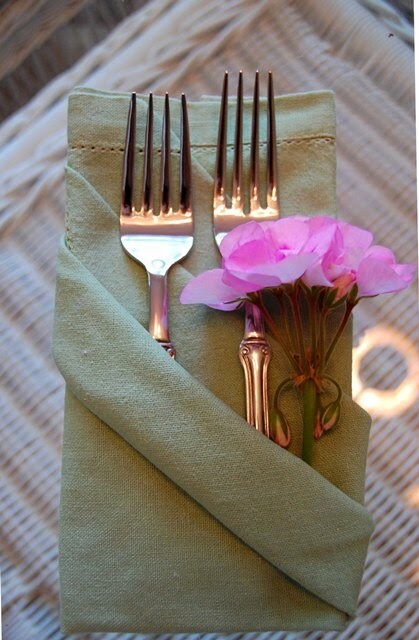 Metallic colours will create a chic and edgy tablescape. 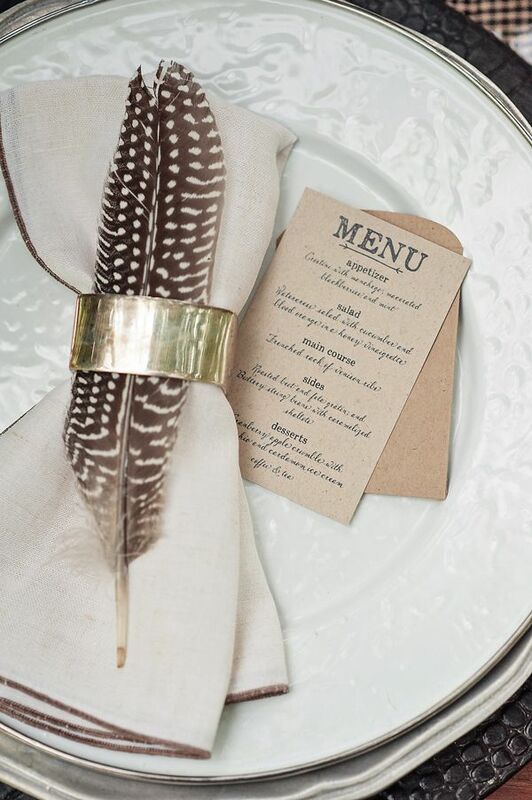 Feather Napkin Ring: Buy a bag of synthetic feathers from the craft store and slide one into a napkin ring. 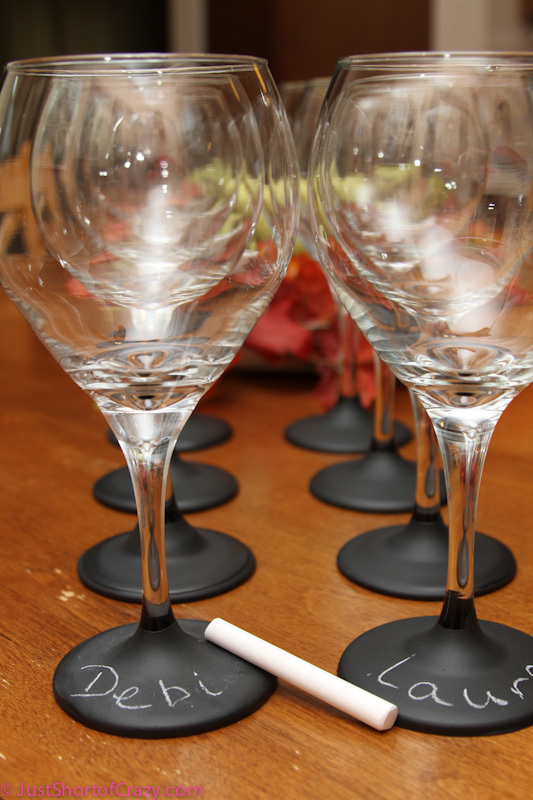 Chalkboard Paint Dipped Wine Glasses: Create personalized party favours for your guests using this tutorial. Triple Pocket Napkin Fold: Learn to fold napkins like a restaurateur. This triple fold technique is both functional and fancy. Primary photo by Tiki Chris/Flickr.